Maintain Eye Health. 8 Easy Ways To Do It. Our eyes is the most important sense as it provides us a way to get around the world. Even though they are precious, many of us do not know how to protect them effectively. As a result, we often notice people with their eye health deteriorating. Here are 8 easy ways to upkeep good eye health. 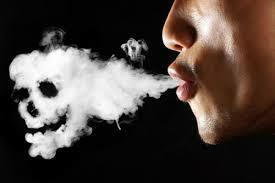 Smoking has been linked to an increased risk of cataracts, optic nerve damage, and macular degeneration. Not to mention that it also increases your chance of getting diabetes which will develop diabetic retinopathy. Don't drink too much alcohol either as it dehydrates the eyes causing dry eye problems which is a catalyst of many eyesight issues. In United States, there are more than 500,000 eye injuries every year. And 90% of them can be prevented by using proper eye protection gear. When playing outdoor sports (especially those that require body contact) get a protective gear. You never know when will freak accidents happen and injure your eyes. Eye rubbing certainly gives great pleasure but it isn’t a good thing. It can cause cells within the eyelids to break down and falls on the surface of the eyeball which make the itching worse. It also speeds up the wear and tear of our cornea. In long run with frequent rubbing, it may lead to keratoconus. A condition where part of the cornea becomes thinner and loses its shape. 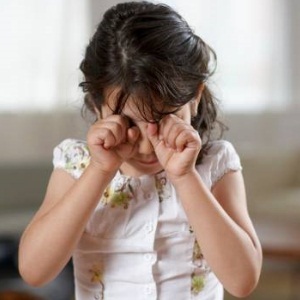 This is especially true for kids as their cornea haven’t fully developed. Protecting your eye health starts with the food on your plate. Studies have shown that nutrients such as beta-carotene, omega-3 fatty acids, lutein, zinc, and vitamins C and E may help ward off age-related vision problems such as macular degeneration and cataracts. 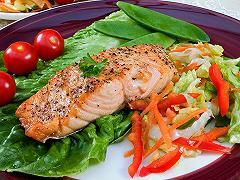 Omega-3 rich sources such as salmon, tuna, and other oily fish. If you are vegetarian, consider taking eggs, nuts and beans. They are both high in protein and fatty acids. Take citrus fruits or juice such as oranges for vitamins. In addition, eating a well-balanced diet also helps you maintain a healthy weight, which lowers your risk for type 2 diabetes. Diabetes is the leading cause of blindness in adults. As many as 45% of people with diabetes develop diabetic retinopathy, which damages vision. Having diabetes also increases your risk for glaucoma and cataracts. Learn more about what kind of food is good for the eye in my article on eye food. You can also consider taking eye vitamins for maximum protection. Detecting early signs of eye diseases can save your eyesight from permanent blindness. Damages from sight threatening diseases such as glaucoma, macular degeneration and diabetic retinopathy can be reduced if detected early. Also, eye doctors often are the first healthcare professionals to detect chronic systemic diseases such as high blood pressure and diabetes. Too much UV exposure is known to increase your risk for cataracts and macular degeneration. When choosing sunglasses, be safe as well as stylish. One study found that those who reported higher levels of sun exposure than their peers were able to cut their risk in half for developing deposits on their retinas (which signal degeneration)--just by wearing sunglasses. Choose sunglasses that block 99% to 100% of both UVA and UVB rays. For max coverage, use wraparound lenses as they help to protect your eyes from the side. Also polarized lenses work well to help reduce glare when driving. But be wary of choosing sunglasses that block only one type of UV rays. In darkness, our pupil expands and therefore, if your sunglasses only block UVA, you are exposing your eye to more UVB rays. The damage from sun exposure is cumulative over a lifetime. 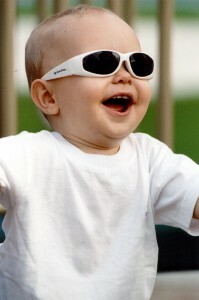 Therefore for optimal eye health maintenance, children should be encouraged to wear sunglasses. Limit your time on the computer (if you can't consider wearing pinhole glasses). Staring at a screen for hours without a break results in computer vision syndrome and may cause the central retina to become weak. Try to focus on distance objects after every 20 minutes of computer usage and do some eye relaxation exercises. Blinking is actually good for the eye. It helps to moisturize and relieve tension around the eyes. This helps to reduce eye drying effect and likelihood of computer vision syndrome. Thus maintaining your eye health. Paste a post-stick to remind yourself of blinking. I found out by chance that Eating Dark Chocolate is good for eye strain as well as it increases blood flow to your eyes.